Plans were today unveiled for the sale of a large amount of Dublin. This includes the discussed sale of Foxrock to Los Angeles, Rathmines and Phibsborough to London, and the Liberties to New York. The proposal, which entails air-lifting large swathes of land, is being made possible by methods similar to fracking in combination with hot-air balloon technology. Many in the industry are referring to the method as ‘Frackaballooning’. Given their respective prime locations, Foxrock and Sutton are perhaps two of the most noteworthy of the sites included in the plan. One well-known journalist commented that it was a logical step: “with their sale to Los Angeles, those living in Foxrock and Sutton will still have lots of open space and a similar commute time, but will get a lot more sun.” The auctions are being held by a firm new to the Irish market, called FLAIR, who are specialists in Frackaballooning-driven sales. One representative commented on how the bidding at their first auction had been frantic: “It has been great really. Welwyn Garden City and Letchworth were engaged in a bidding war to buy Mount Merrion, only to be gazumped by a phone-bid from Ebbsfleet.” But word is that the level of interest in the technique reaches far beyond the neighbourhood/village scale. It is believed that a number of FRITS (Frackaballooning Investment Trusts) are interested in entering the Irish market in the coming months. 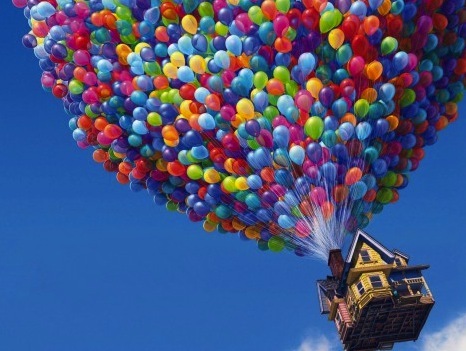 Some sources believe that within five years Dublin could be in the top ten global destinations for Frackaballooning. All indications show that this will have a trickle-down effect and allow the gradual sale of most of the country: ‘Well we are starting in Dublin because that is where there is most demand, but I could definitely envisage the sale of Eyre Square as a very real possibility in the future’. Perhaps the most exciting part of the initiative is the sale of the majority of Georgian Dublin. This is seen as a win-win for both Chaing Mai, who get a new theme-park/film-set and for Dublin to correct the wrongs of its Georgian ancestors. A representative of the Mock-Georgian Appreciation Group, who have single-handedly championed the cause of late 20th Century faux-Georgian architecture for nearly four decades, commented: “really, the wealthy elite of the 17th and 18th centuries didn’t have the wealthy of today in mind. Therefore, the sale of Georgian Dublin, and its replacement with fake-Georgiana, presents the possibility to right their wrongs in terms of both the social environment and the physical context. None of the wealthy in Dublin want to live in Georgian Dublin, so they must really dislike Georgian buildings. We must assume that they prefer faux-Georgian architecture.” The social goals are being promoted through the incorporation of smart technology, which sees a new force-field placed around the entirety of Georgian Dublin so as to preserve it for the wealthy and well-to-do for eternity. Meanwhile, the newly laid out Faux-Georgian Mile will seek to reflect the dignity and grandeur of the planned ESB replacement, which, based on a recent competition, is to be a relocated Fitzwilliam Hall. The gap left by the removal of Fitzwilliam Hall from its original location will be a replica of the current ESB headquarters building, albeit shrunk to fit the site. As a means of reflecting the inter-subjectivity of the two buildings, they will swap facades for a period of two hours per day at rush-hour. The Faux-Georgian Mile plan has, however, not been without its detractors. A small group have already demanded the reconstruction of the ESB Headquarters according to the original 1964 specifications, while another group have demanded the preservation of the original, including the removal of the boom-time pink paint. There have also been rumours of a student sit-in, but according to a number of sources there was too much wrangling between those desiring retention of the original and those in favour of a reproduction. The creation of more vacant space also creates the potential for a strong cultural component. One well-known cultural commentator stated that as part of the plan each area of Dublin that is to be sold off will be recreated on a scale cardboard cut-out model and placed at the centre of a new pop-up park that is to be located on the former site of Kilmainham Hospital, which is being sold to Canada. This is so as to promote discussion about the relationship between Frackaballooning and society. Aside from the modernist heritage enthusiasts, Frackaballooning has only had a few objections, most of it from ‘activists’. But, as one commentator stated: “We don’t have time for these objections. We have had a thorough public engagement process with those in the industry and others in favour of the process. We can’t allow a few nay-sayers stop progress. We must allow the market to plan our future and this is the most advanced way of making that possible”. Whatever the detractors say, there is no doubting the ambition and bold vision of the approach. This is exactly the sort of blue-sky thinking that Dublin and the rest of the country needs. After all, hot-air and the sale of land are the twin pillars of sustainable planning.